Fr. a: Long shank square in section tapering to intact sharp pointed tip; large, squarish, flat head. L. 0.128, W. head 0.028 m.
Nail (fr. 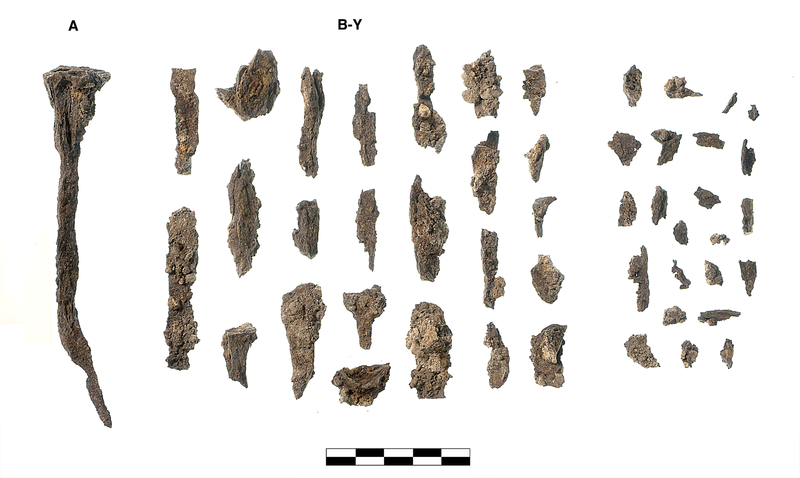 a) corroded but virtually intact; 24 additional fragments (b-y) and flakes from nine shanks and five rectangular heads (MNI 6); 16 tiny to small fragments and flakes from similar objects.